The taxi company raised $1.2 billion in funding this week as it plans to expand in the Asia-Pacific region. UBER SAID IT raised a fresh $1.2 billion in funding, giving the popular ride-sharing startup a reported value of some $40 billion (€32.3 billion). Uber chief Travis Kalanick announced the latest funding in a blog post, saying the money will fuel expansion, especially in the Asia-Pacific region. “It was just a year ago that Uber was operating in 60 cities and 21 countries – today we are in over 250 cities in 50 countries,” he wrote. Details of the funding were not disclosed. But earlier this year Uber raised $1.2 billion, giving it a value of $17 billion. The rapid expansion has caused deep tensions with traditional taxi drivers, especially in Europe. Uber is best known for its smartphone app that lets people who need a ride connect with local drivers. The app uses GPS to put the user in contact with the nearest driver. Uber charges a commission for each ride. Uber has also faced scrutiny following negative comments about the news media from a top executive and revelation’s that it offered a “God view” of customers that could allow spying. The company hired experts to conduct a privacy review. Kalanick said Uber has been a positive force around the globe. “In 2015 alone, Uber will generate over one million jobs in cities around the world and with that millions of people may decide that they no longer need to own a car because using Uber will be cheaper than owning one,” he said. “Parking could become less strained in our biggest cities, and city congestion may actually start to ease” due to a new carpooling system called uberPOOL. Email “Uber CEO plans to make company 'humble' after it reaches $40 billion valuation”. 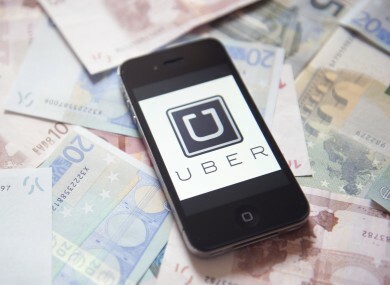 Feedback on “Uber CEO plans to make company 'humble' after it reaches $40 billion valuation”.